By Mark Friedman, RL Correspondent, Marine educator LA Maritime Institute, San Pedro LA Maritime youth crew members, interpreters and educators on the Explore the Coast monthly sails, and others from the Animo HS marine Biology Club in Lennox, have been busy expanding their educational and action campaign, regionally and nationally. They have participated in the LA Science fair, as well as at Animo HS, presented to a teacher’s workshop hosted by USC Sea Grant and NOAA and Skyped with students and scientists nationally and internationally. 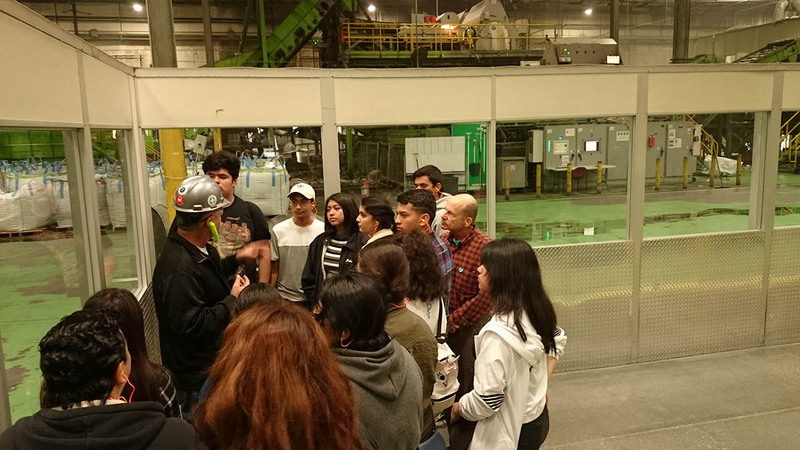 In mid-May, they visited the most advanced state-of-the-art recycling plant, CarbonLite, near Riverside. 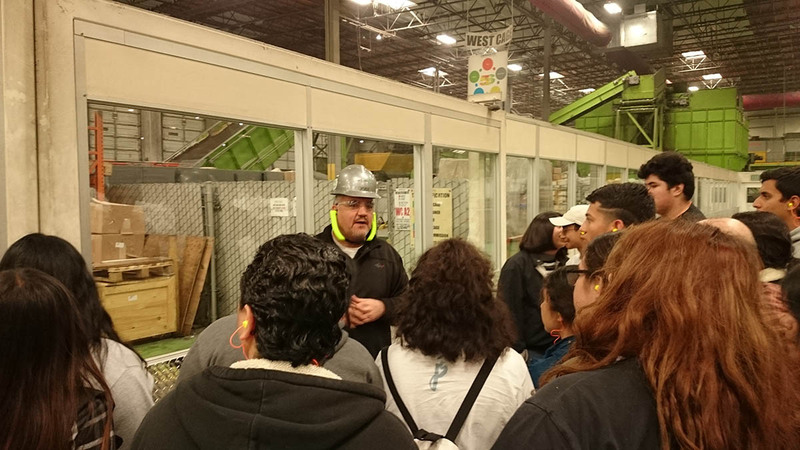 They received a tour of the plant and saw the process of recycling plastic bottles firsthand. The process includes sorting, cleaning, shredding, melting and reforming into pellets, and finally packaging of the resin pellets for sale to companies seeking to incorporate recycled plastic in their products. With proposed California Laws that require a percentage of recycled plastic in new plastic products, many companies are seeking this new product. They were hosted and toured thru the plant by Jose and Jeff, explaining each step of the process. For these twenty students, who’ve been engaged for the entire school year in research and action campaigns to reduce ocean plastic, this was a vivid example that the potential exists to recycle a higher percentage of plastic that is currently reused. The students have produced a website and uploaded their research projects and their bilingual materials to educate others throughout the world about much-needed efforts to recycle and reuse plastic products and prevent their introduction into landfills and the ocean. In this effort, they have collaborated with other students in Japan, around the US, and most recently a delegation of two Latinas participated in student and teacher workshops for a week in Chile. They work closely with local organizations such as Algalita, 5Gyres, City2Sea, AltaSea, LA Maritime Institute, USC Wrigley Marine center, etc. For those students and others interested in following these efforts, supporting the students and joining in their action campaign, please visit their website. www.animomarinebio.weebly.com.